Professional critics often sport perpetually knitted brows – it’s an occupational hazard. But knitting as a critical strategy? That is more exceptional. At the 2019 International Film Festival Rotterdam however, needlework and criticism came together in the festival’s Critics’ Choice sidebar. 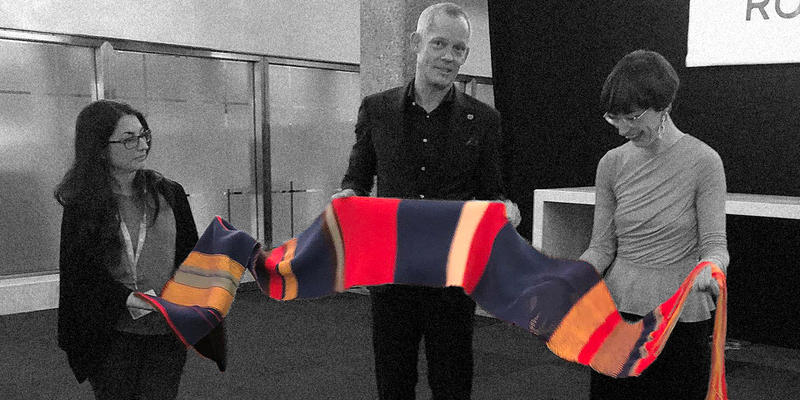 Rachel Maclean’s Make Me Up was turned into a multicolored scarf by film critic Yoana Pavlova. 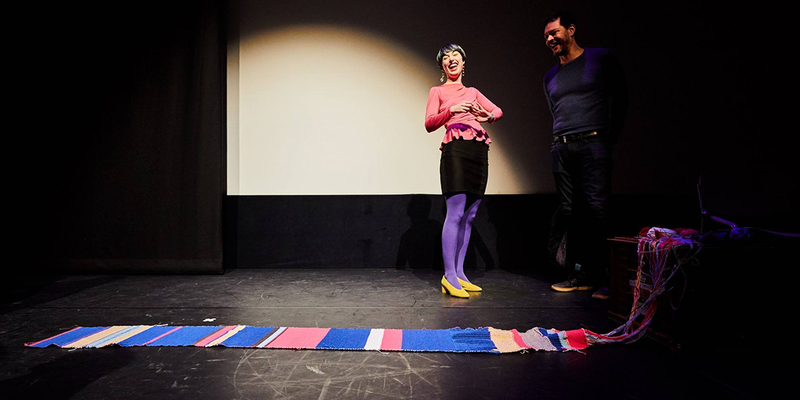 She used a different color for each character in Maclean’s movie, thus turning her knitwear into a form of data visualization. 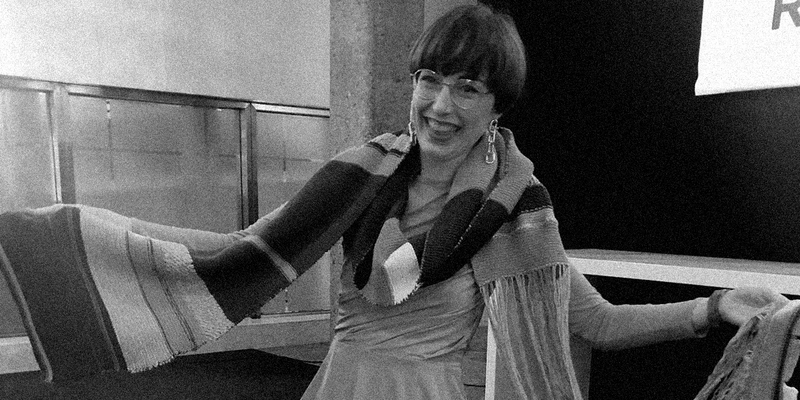 As it turns out, there are more examples of the use of knitting as a critical exercise. 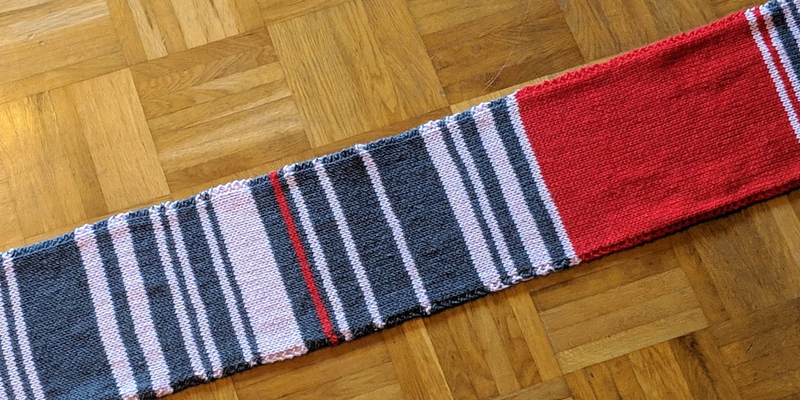 Over the course of 2018, the German train commuter Claudia Weber used knitting to keep track of the delays her daily train had. She too used color-coding: the longer the delay, the redder the yarn she used. 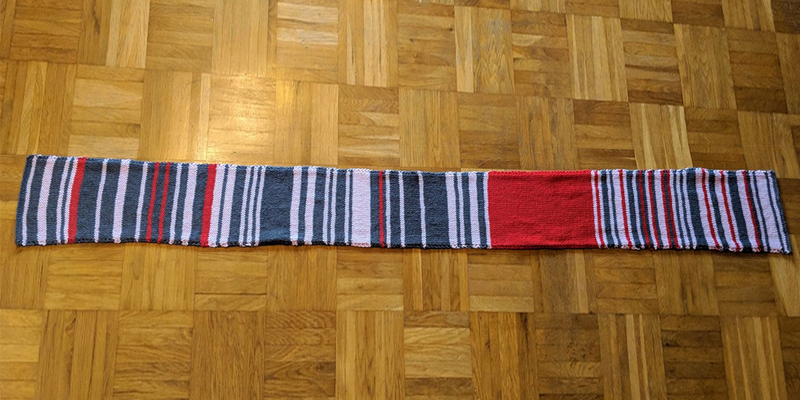 The resulting train delay scarf (“Bahn-Verspätungsschal”) was a visual reminder of a year’s worth of frustration. The knitwear was eventually auctioned online and fetched over $8000. It was bought by… Deutsche Bahn, the German railroads.